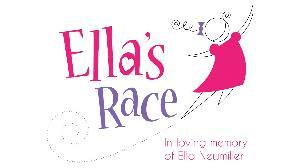 Thank you for supporting Ella's Race! Thank you for supporting Ella's Race. You may make a safe, easy credit card donation here. The genesis of the Pediatric Brain Tumor Foundation (PBTF) dates to the early 1980s, when Mike and Dianne Traynor saw the struggle and pain of a colleague whose child was stricken with a brain tumor. Determined to bring an end to the untimely death of children from this devastating disease, the Traynors sought to increase funding for basic laboratory research into pediatric brain cancer. In 1984, the couple established the Ride for Kids program to meet the dual goals of raising money for research and educating the public about childhood brain tumors. The success and growth of Ride for Kids inspired the Traynors to start the Pediatric Brain Tumor Foundation in 1991. The program continues to function as a grassroots effort by the motorcycling community to help the thousands of children diagnosed with brain cancer each year. Since 1984, we have raised more than $67 million for childhood brain tumor research and family support programs. It started with just one child. It started with just one heart. Originally started in 2007 in tribute to 6-year-old Elena Desserich and her fight against brain cancer, The Cure Starts Now Foundation has funded over $7.3 million in research, awareness and programs over the past 10 years. Today, The Cure Starts Now Foundation (501c3 Federal Non-Profit) is one of the only cancer foundations dedicated to a homerun cure for all cancers, starting first with one of the most deadly and difficult cancers: pediatric brain cancer. The Cure Starts Now represents a revolutionary new strategy in cancer research; one that fights cancer not according to numbers but instead based on knowledge and research. It is an international effort of families, friends, businesses and even strangers, united in the desire to cure cancer, one child at a time. And it all started with one child, but today the inspiration is carried with us all.